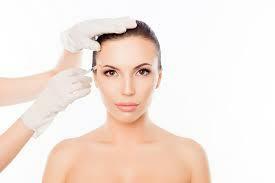 Looking for Best Botox in Michigan? Make sure you pick the right provider. Great botox results are all about technique and experience. With Aesthetic Service of MI, you can rest easy. We’ve been performing Botox injections for over 13 years. Our Botox patients keep coming back to our office because they love the natural results they’re getting. Our team of expert providers always stays up-to-date on cutting-edge Botox treatment techniques. 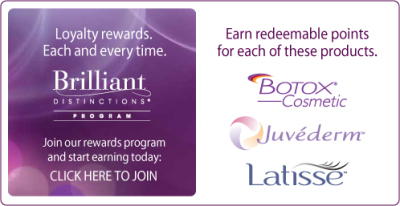 We’re proud to offer the most advanced Botox treatments available -- backed by expertise you can trust. When it comes to getting the ideal benefits of Botox injections, it’s important to feel comfortable talking with your provider. At Aesthetic Services of MI, we understand that, and we’re committed to making sure you’re relaxed and confident every step of the way. Our clean, bright office is designed to be a welcoming safe space for all of our visitors. Friendly staff are available via phone, text, and email before or after your treatment. We want you to feel heard, and our skilled providers truly take the time to listen to your goals and concerns. We’ll work with you to create the perfect individual treatment plan to meet your needs. No pushy sales tactics, ever. Turn back the clock with Botox Injections. Botox is the #1 cosmetic treatment worldwide -- and for good reason. It’s safe, quick, minimally invasive, and delivers amazing results. One 15 minute session can take years off your face. The best part? You’ll still look like yourself, but better. 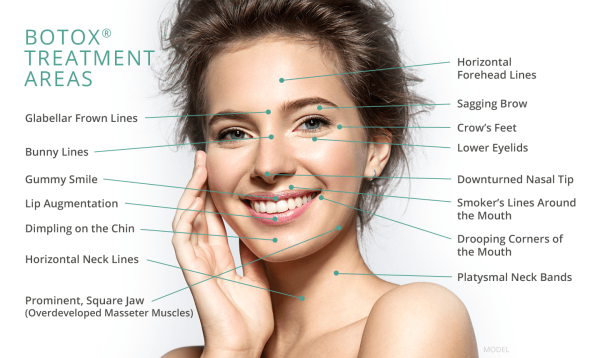 Botox treatment works by relaxing the muscles that tend to furrow or tighten when you make certain facial expressions. Those expressions repeatedly fold your skin over time. Eventually, they turn into full-blown creases. Tiny injections of Botox can temporarily smooth away unwanted lines and wrinkles. You’ll still be able to make facial expressions, but Botox helps minimize extreme movements that age your skin. Afterward, your face will look younger, happier, and more rested. Wear and tear is unavoidable in life. No matter how well you take care of your body, you’ll see the natural effects of age, worry, and stress on your skin. There’s nothing wrong with that -- after all, your experiences make you the person you are today. Still, most people find that a little extra self- care goes a long way. Getting Botox treatments is a lot like wearing a beautifully tailored dress or custom-made suit: you’re bringing out the best in your appearance. You’re taking control of how you face the world. Beauty may come from the inside, but it’s a two-way street. You look great, you’ll feel more confidently you. Find out what Botox Injections can do for you. The Botox forehead lift smooths out forehead lines and helps prevent new creases from forming. For a rested, refreshed, and younger appearance, the Botox brow lift raises the eyebrows and opens up the eye area. Botox injected to lift eyebrows can also lift and tighten sagging skin around the eyes, which tend to become hooded with age. Botox for frown lines smooths the muscles between the eyes that tend to create “11 lines” when you’re frowning or concentrating. Botox for crow’s feet smooths fine lines around the outer corner of the eyes for a more alert, youthful look. Botox above the lips can refine a gummy smile by relaxing the muscle, which helps prevent the upper lip from lifting too far above the gums. Botox injected into the masseter muscle can soften a square jaw, creating a more feminine silhouette in the lower face. For jawline smoothing, Botox can tighten the muscles along the jaw to create a sharper, more refined contour. Botox can tighten and rejuvenate vertical bands in the neck for more slender, younger-looking profile. Botox for sweating blocks nerves that activate your sweat glands, keeping you cool and dry. Cosmetic procedures like Botox are becoming more popular with men all over the country, and why not? Just like exercise, diet, and grooming, it’s a great tool to optimize the way you look and feel. Taking pride in your appearance is for everyone. In fact, Botox for men has become so common that it has its own name -- Brotox. 30% of Clients who come into ASM for the procedures are male. Between social media and our youth-focused culture, many men find that Botox treatments can give them an advantage in dating and in their careers. It’s a quick, affordable investment in yourself with near-instant results. - People think you look angry, sad, or tired, even when you’re not. - You look older on the outside than you feel on the inside. - Visible signs of aging are slowing down your career. - You’re unhappy about your severe crow’s feet, frown lines, or forehead lines. - You’re just starting to show signs of age and you want to slow it down. - There aren’t any lines or wrinkles at all yet, but you’d like to prevent them. - You want to fix a “gummy” or downturned smile. - You want to refine your brow shape or position. - You’ve considered liposuction around your jawline, but would prefer something less invasive. - You have drooping or hooded skin around your eyes. - You’re embarrassed about excessive body sweat. - You want a fast, simple “pick-me-up” to refresh your appearance.